There was no slipping at the weekend from those in White, as we used Millwall holding Sheffield United to a point to stretch three clear of our biggest automatic promotion rival. The Blades still hold a superior goal difference over us, but Chris Wilder’s side need us to lose while they win at least once for that to come into effect, and push us back down to third and face the threat of the Play-Offs, where Aston Villa are growing in confidence and form every week. Dean Smith’s Villa Park natives are the only Championship side currently able to boast six wins in a row, with even the league-leading Norwich dropping points over the weekend at relegation-threatened Wigan – another bonus to us, as the Canaries are now only four ahead. Title or no title, though, the Premier League is the ambition at Elland Road, and should we hold on over the next four games to secure top-flight football, we will need players to step up to the test next season. 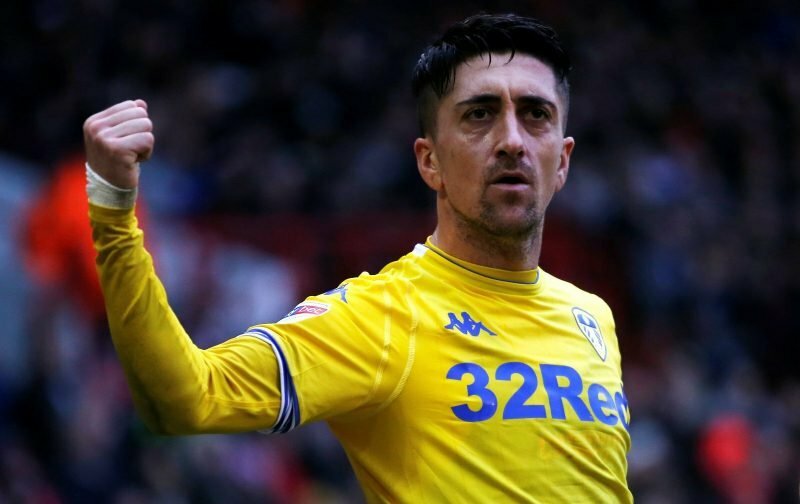 Former striker and club expert Noel Whelan, though, believes we have one man capable of ripping up the Premier League in Pablo Hernandez, even though the Spaniard turned 34 last Thursday. “He can do things that no person can do at Leeds United,” Whelan told Football Insider. “He’s always one step ahead, and always has been, but this season we’ve seen a rejuvenated player that has absolutely everything, ticking every single box for Leeds, and keeping him fit is absolutely massive until the end of the season. “I love him, I really do, this season I’ve seen so many good things, but I always knew he had it there. The way he just led the team, the amount of effort he puts into a game, some of the creative genius that comes from his touches, his range of passing – delicate passes – it’s great to watch. “I used to play the game, but sitting on the other side, now as a fan, all you can do is applaud him sometimes for what he does with the ball. When you’ve got someone like that in your side, the rest of the team follow. During his time in the English top-tier with Swansea, Hernandez made 57 appearances, scoring five goals and created a further 15.